Yarrow has a good reputation as an anti-inflammatory and antiseptic and is widely used in herbal medicine. 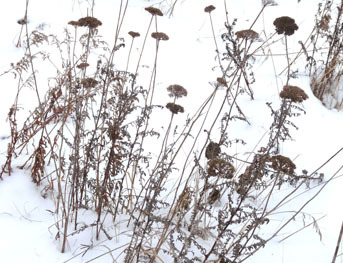 This perennial wild edible tastes bitter but after all, bitter is generally better for your health. 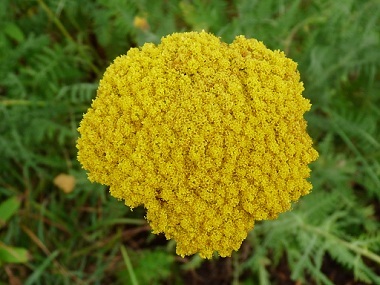 Yarrow contains many vitamins and minerals, and is used in the treatment of a wide range of disorders. Yarrow is particularly valuable for stopping the flow of blood, treating colds, fevers, treating wounds, kidney diseases, menstrual pain, and much more. It also contains the anti-inflammatory agent azulene, though the content of this varies even between plants in the same habitat. Legend has it that Yarrow was named after Achilles, the Greek mythical figure who used it to stop the bleeding wounds of his soldiers. Ryan Drum, BSc., PhD., has authored over thirty scientific papers and his research discovered that this wild edible was discovered in the Shanidar Cave in Iraq dating back almost 100,000 years. Distinguishing Features: This aromatic wild edible grows as a single, stout stem that produces tiny ray and disk flowers. Yarrow has fern-like leaves.This perennial also produces attractive flower craniums that possess white rays and have yellow, flat circular plates or discs inside them. Flowers: Fern leaf yarrow produces flowers that grow in what appears to be large clusters. They are yellow and can bloom anytime between late spring and late August depending on location and conditions. The large cluster is known as a compound corymb that is created by tiny, long-lasting rays and discs; the corymb can measure up to 10 cm (4”) across. These flowers are long lasting. 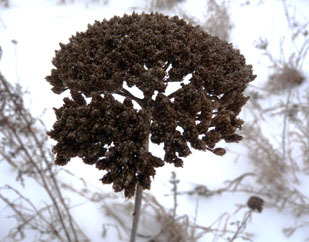 Fields of Nutrition has medicinal benefits and vitamin/mineral content of Fern Leaf Yarrow. Leaves: The leaves of this plant are generally 5 to 20 cm long, feathery and grow somewhat evenly in a spiral design along the stem. 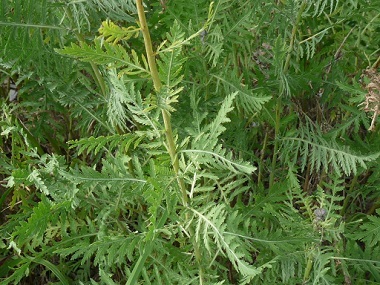 Yarrow leaves resemble a fern. Height: Can grow up to 1 metre tall. Habitat: Yarrow is commonly found flourishing in waste areas, countryside, meadows, pastures, edges of the railway tracks, and along the highways. Yarrow grows in many countries. Edible parts: Aerial. Although the leaves are bitter, they can be eaten raw or cooked; young leaves mixed in with a salad are recommended. Yarrow leaves are also used as a hop-substitute for flavouring and as a preservative for beer. Although in general yarrow is a very nutritious and beneficial plant to add to the diet, it is recommended not to eat a lot of it on a regular basis. An aromatic tea is made from the flowers and leaves.